SMITH/Associates provides analytical support services for consultancies, engineering firms, and government agencies. Our analysts have subject matter expertise to perform data analysis for developing strategies to optimize facility operations, planning efficiency and cost-effectiveness. They will ask critical questions from both the DoD and client points of view, create alternatives, react to changes in proposals and suggest actions to resolve. Our team has been able to identify significant cost savings related to incorrect site assessments due to misinterpretation of data and existing available information. 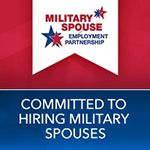 SMITH professionals can interact on a daily basis with contract support team and client, including Senior DoD leadership at Pentagon to Installation level. We will provide analytical support to bring about a consistent enterprise-wide approach to implementation of Common Levels of Service (CLS) initiatives.